This is Tori & Matt and they are ENGAGED! And as one of Tori's close friends, I could not be more excited! We have both known these two for years now and once they started dating, it was one of those, "Oh yeah, why didn't I think of that?" moments. They are just an awesome couple! So...a few nights ago we got a call from Matt with all of the arranged details. We were to arrive at the Dallas Arboretum and hide in bushes around the secret spot and wait patiently for the two lovebirds to arrive. Easy! So we wake up Monday morning...and it is raining...but a little precipitation will not ruin this day! We rush into our car and zoom off to one of the most beautiful spots in Dallas (Seriously, if you have not been - GO!) . As we drive up to the gardens the rain stops and we run to our spots! How perfect! Before we could blink an eye, we spot Matt and Tori walking around to one of their favorite spots, The Poetry Garden. 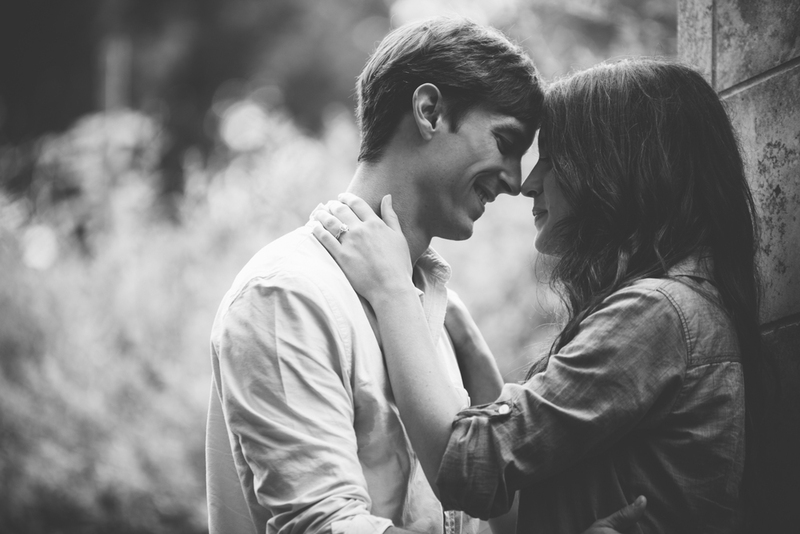 Matt stops Tori in the middle of this secluded area, whispers some sweet words, and is down on one knee. We spent some time celebrating with the couple and snapping a few more pictures around the gardens.